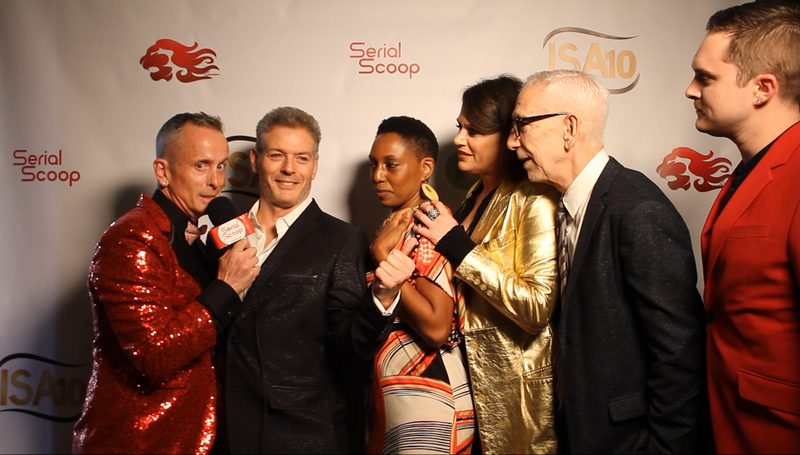 Serial Scoop Now host Michael Taylor Gray interviewed the stars in front of and behind the camera on the red carpet of the 10th Annual Indie Series Awards on April 3, 2019 at The Colony Theatre in Burbank, California. In the third of our multi-part coverage, we chat with the cast and crew of Conversations in L.A. (Anne Marie Cummings, Sebastian Heinrich, Terra Strong, Lou Diamond Phillips, Gustavo Velasquez), Or Die Trying (Jenny Austin, Chelsea London Lloyd) and Roads to Keystone (Colin Deane, George Barr, Christopher Smith, Brad Ulbrich, Manny Patel). 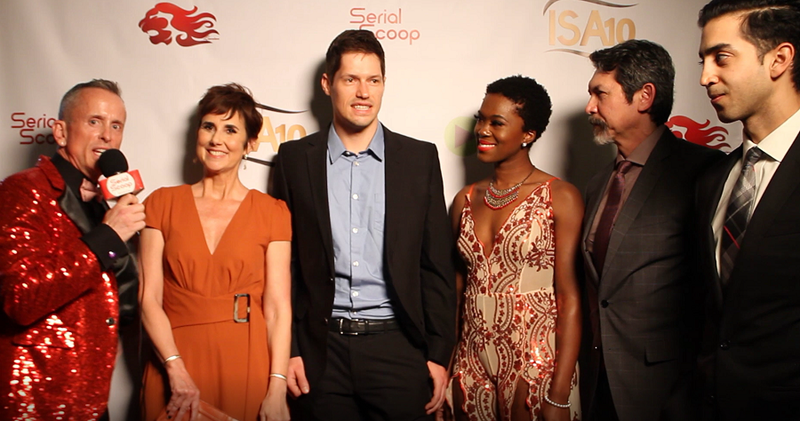 Serial Scoop Now host Michael Taylor Gray interviewed the stars in front of and behind the camera on the red carpet of the 10th Annual Indie Series Awards on April 3 at The Colony Theatre in Burbank, California. In the second of our multi-part coverage, we chat with the cast and crew of Awkwardly (Nikki Coble, Jessica Alexandra Green), Wholesome Foods, I Love You...Is That OK? (Krista Hosvepian, Samara Stern), Ladies of the Lake: Return to Avalon (Marie Wilson, Jillian Clare) and Pretty the Series (Dee Freeman). Serial Scoop Now host Michael Taylor Gray interviewed the stars in front of and behind the camera on the red carpet of the 10th Annual Indie Series Awards on April 3 at The Colony Theatre in Burbank, California. In the first of our multi-part coverage, we chat with hosts Patrika Darbo and Kevin Spirtas, along with nominees from After Forever (Michael Slade, Cady Huffman, Erin Cherry & Scott Michael Salame), Anacostia (Lauren B. Martin), Only Children (Wayne Wilcox, Keylor Leigh, Danny Wascou) and Giants (Joy McElveen, Tanee McCall, Terrence Terrell, Mansa Wakili, KJ Smith, Ashly Williams and Kareem James). 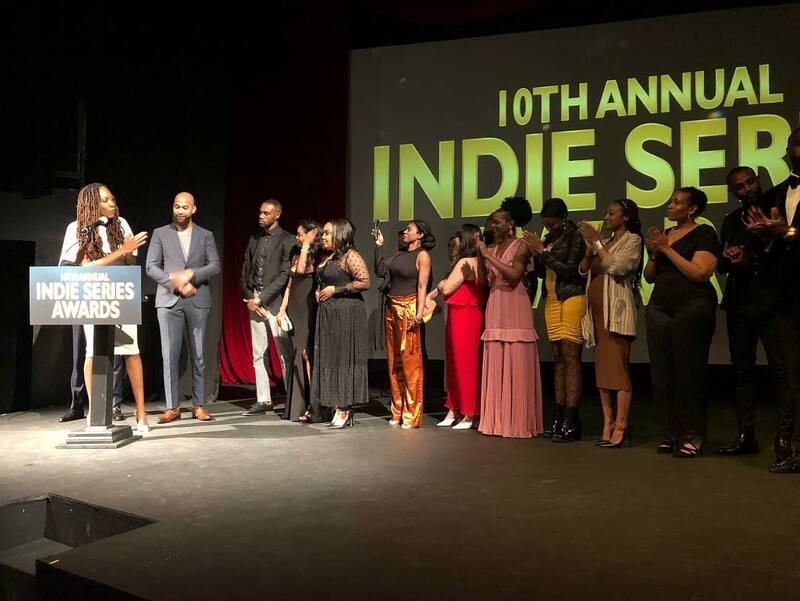 The winners of the 10th Annual Indie Series Awards were announced in a ceremony on Wednesday, April 3, hosted by Eric Martsolf, Kevin Spirtas and Patrika Darbo, all former hosts who returned. Not announced prior to the ceremony, one by one they took the stage declaring they were the best former host and should, obviously, host the milestone 10th anniversary celebration. Top honors went to Giants and Indoor Boys, named best drama and best comedy series of the year. Giants won awards in a record-breaking seven categories, including best writing (J. August Richards, lead actor (James Bland), lead actress (Vanessa Baden Kelly), supporting actress (Tanee McCall), score (Austin Wintory) and original song ("More Love" by Kareem James and Ashly Williams). Indoor Boys took home four ISAs, including best writing (Wesley Taylor and Alex Wyse), guest actress in a comedy (Krysta Rodriguez) and guest actor in a comedy (Michael Kostroff). Other acting winners included Alex Wyse (Only Children), Lou Diamond Phillips (Conversations in L.A.), Lauren B. Martin (Anacostia), Paul Soles (My 90-Year-Old Roommate), Alesha Renee (The Rich and the Ruthless), Ryan Wesen (190 Lorimer) and Inessa Frantowski (The Amazing Gayl Pile: Apocolypse Soonish). The Witching Hour took home the prize for best non-fiction series. Since 2009, the Indie Series Award has honored the most creative and progressive talent in independent web series. The ceremony was hosted by Emmy winners Patrika Darbo and Emmy Martsolf, and Emmy nominee Kevin Spirtas, a previous ISA winner who leads the all-star cast of best drama ensemble winner After Forever. All three previously hosted and returned as part of the 10th annual celebration, "A Decade of Indie Excellence." In all, 45 series were nominated from around the globe, including the United States, United Kingdom, Canada, Australia and India. Check out a complete list of winners below. James Bland stars as Malachi in Giants. 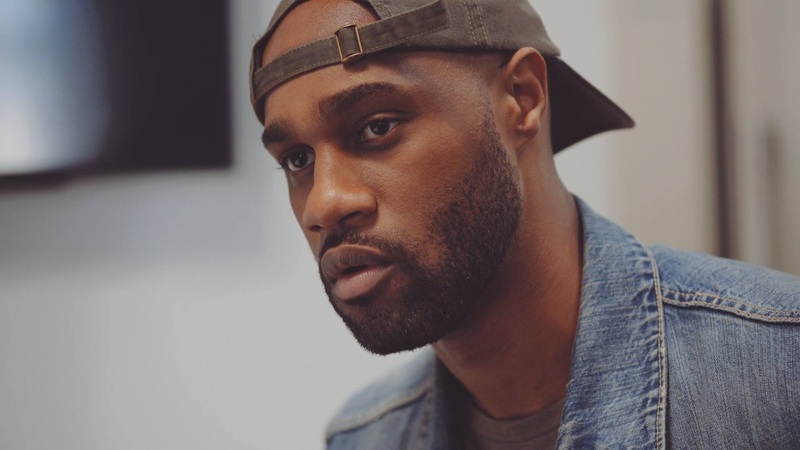 The 10th Annual Indie Series Awards nominations were revealed on Wednesday in a Facebook Live broadcast hosted by former winners Dee Freeman and Michael Taylor Gray. The ISAs celebrate the best in independently produced entertainment created for the Web. Nominees were announced in 30 categories. Giants led all series with 19 total nominations, followed by After Forever with 14. Those shows will compete in the Best Drama Series category with Conversations in L.A., In Absentia, The New 30, Only Children, Riley Parra and What's Your Status. Indoor Boys led all comedies with 13 nominations. The series is joined in the Best Comedy Series field by 190 Lorimer, #Adulting, The Amazing Gayl Pile: Apocalypse Soonish, Does It Fart, My 90-Year-Old Roommate, The Rich and the Ruthless and #Washed. Competing for Best Non-Fiction Series are Girl Mess, The No-Name Cinema Society, The Vivid Project, What The IVF and The Witching Hour. In all, there are 45 nominated series from around the globe: United States, Canada, Australia, Indie and the United Kingdom. Crystal trophies will be presented to the winners during a gala ceremony on April 3 at The Colony Theatre in Los Angeles. The two-day celebration includes a launch party, red carpet reception, press walk, presentation ceremony and official after party. Check out the complete list of nominees below. Gustavo Velasquez, Conversations in L.A.
Anne Marie Cummings, Conversations in L.A.
Lou Diamond Phillips, Conversations in L.A.
Terra Strong, Conversations in L.A.
Chris George, Wholesome Foods, I Love You... Is That OK? Samara Stern, Wholesome Foods, I Love You... Is That OK? Connie Wang, Wholesome Foods, I Love You... Is That OK? 3 Wholesome Foods, I Love You... Is That OK?